Golden Pass awarded the engineering, procurement and construction contracts for the project to a joint venture of Chiyoda International Corporation, McDermott International Inc. and Zachry Group. It also executed a 20-year firm transportation agreement with Enable Midstream Partners. Golden Pass has also secured pipeline capacity on NGPL. The project will have a capacity of about 16 million tons of LNG per year. "Our team has worked diligently on the design, development and permitting for this world-class LNG export facility, and we are eager to begin construction to bring this exciting project to life," Sean Ryan, president of Golden Pass Products, said. "We are extremely grateful to our employees, our community and all those who have supported us to help make this happen. This support has been absolutely critical in getting to this point, and we look forward to a long partnership going forward." "The Lone Star State leads the nation in domestic oil and gas production, and today's announcement further solidifies that reputation," Texas Governor Greg Abbott said. "Texas is proud that Golden Pass has chosen to expand its operations in Sabine Pass. This expansion represents not only an investment in creating jobs and growing our state's economy, but also in expanding our nation's international export reach and energy independence. I look forward to building upon our strong relationship with Golden Pass to keep Texas an energy leader at home and abroad." "Jefferson County is ready to see this project come to life," Jefferson County Judge Jeff Branick said. "After the devastation of Hurricane Harvey, our region looks forward to the economic boost this project will bring, and through its Opportunity Roadmap program Golden Pass has laid the groundwork to make sure local residents and businesses have access to the opportunities." The project will include three liquefaction trains, each approximately 5.2 million tons per year, as well as other associated utility systems, interconnections to the existing facility and the expansion of the facility's storm protection levee system. 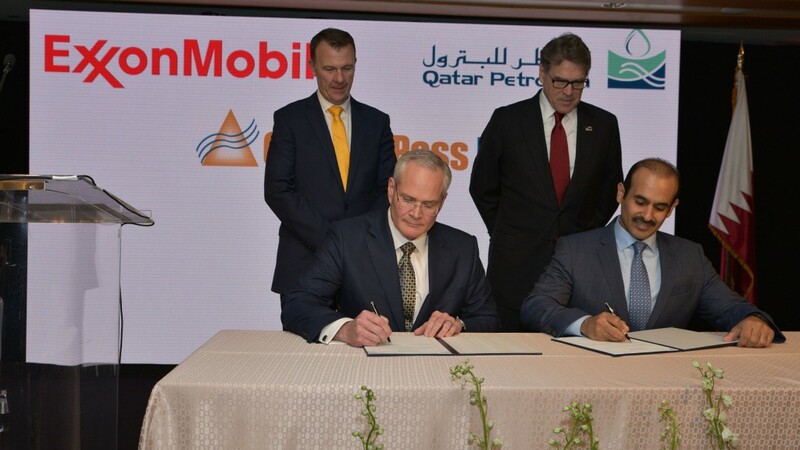 It will utilize the existing infrastructure including five 155,000 m3 LNG storage tanks, two marine berths to accommodate the largest LNG carriers, and the existing 69-mile Golden Pass Pipeline system with access to U.S. markets. Additionally, the project contemplates the addition of compressor stations to the existing pipeline to facilitate receipt and redelivery of 2.6 billion cubic feet per day of natural gas supply to the facility.